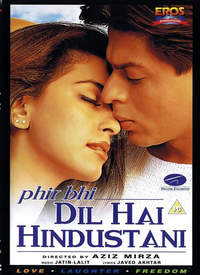 Review Summary: 'Phir Bhi Dil Hai Hindustani' is entertaining with a solid dose of patriotism. Fantastic music. Remember the popular catchline of an ad for a paints company, "Whenever you see colour, think of us!"? THE DREAMZ have hit the durt.